Whatever it is, it’s amazing, and I’m sure it tasted amazing as well! Knowing where you ate the other night, I am guessing Marisa or Suzie made that amazing-looking dessert. But I can’t find it on the menu(I cheated and Googled.) Hope you tell us what it was! Nope, Suzie didn’t make it. 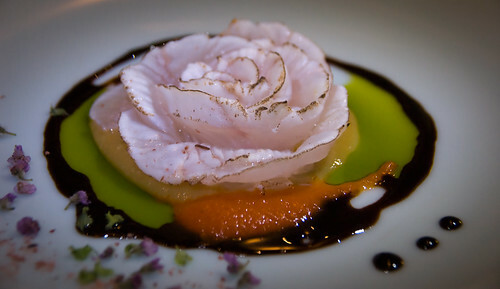 It’s raw halibut and it was fantastic – so yummy. That looks so gorgeous, I’d feel bad about eating it!